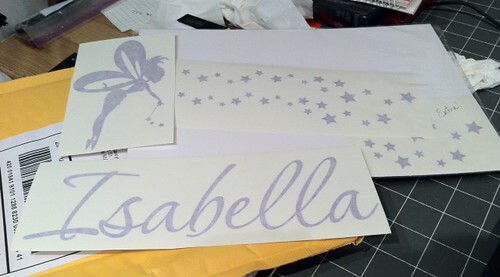 decals for my niece's bike, originally uploaded by Tashabear. She's a girly girl who likes to play in puddles. It's awesome.